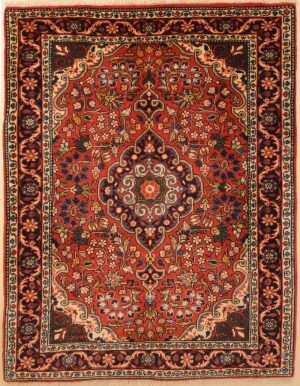 By now you must be used to hearing about how Oriental rugs are so expensive but could you take a wild guess at the cost of the most expensive rug in the world? It’s a mind boggling number that is absolutely difficult to imagine. 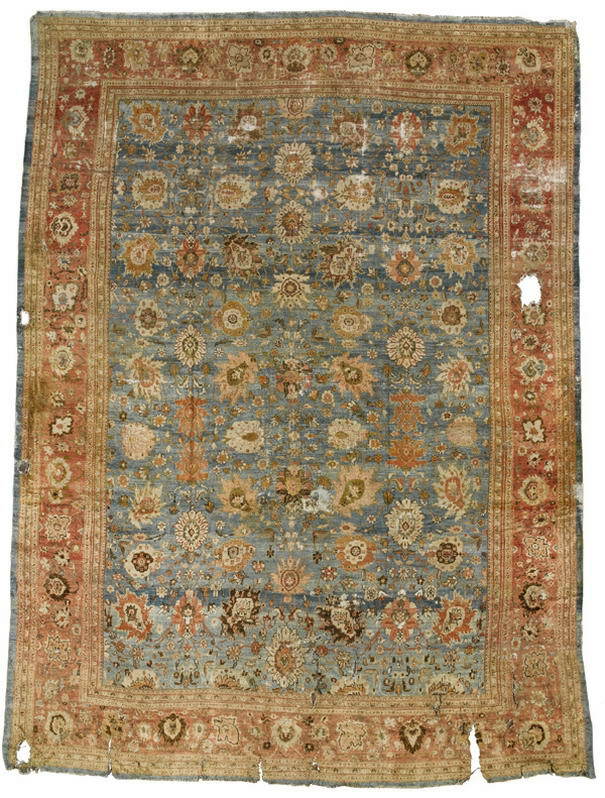 The world’s most expensive rug costs US $4,450,000. If your jaw dropped at that number, don’t worry, you’re not the only one. Almost everybody who hears the price has the same reaction. It seems unbelievable and yet… it’s true. 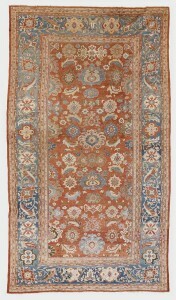 The honor goes to a Silk Isfahan rug and it was sold by reputed auction house, Christies. 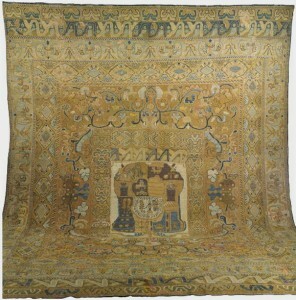 The world’s most expensive rug is this silk Isfahan rug measuring 7 ft. 7 in. x 5 ft. 7 in. (231 cm. x 170 cm. 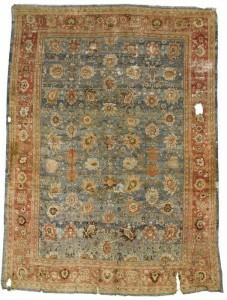 ), which was sold by Christie’s in 2008 for a staggering price tag of US $4,450,000. There were several factors that contributed to this record price. Some of these factors are exceptionally high knot density, use of numerous colors, outstanding craftsmanship and the use of pure silk. 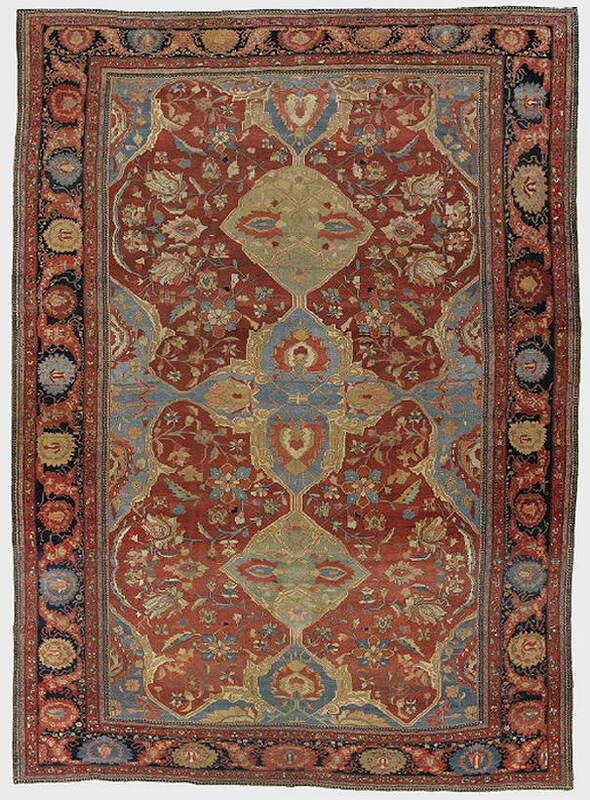 Additionally, despite its age the rug was in very good condition with negligible end loss at the time of the sale. Not surprisingly, its lineage is extraordinary too. 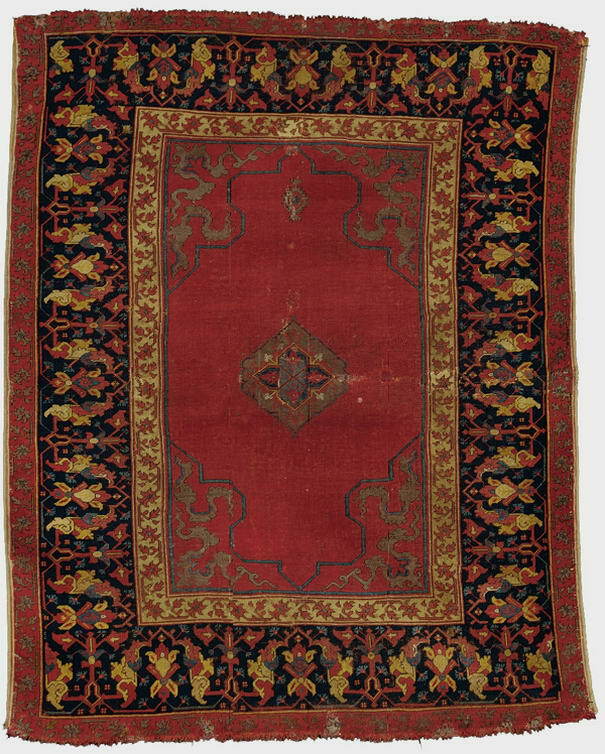 This silk Isfahan rug previously belonged to tobacco heiress Doris Duke, a well-known collector of oriental rugs. 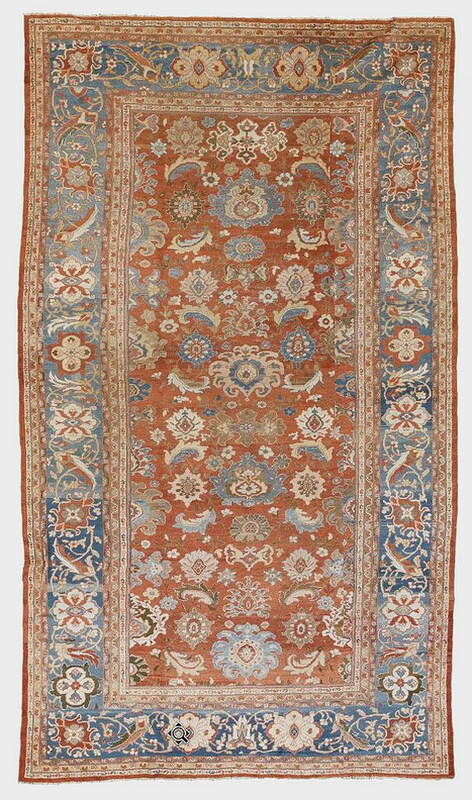 A significant fact about the sale price is that this price is not just the highest ever paid for a rug at an auction but also the highest amongst private rug sales. 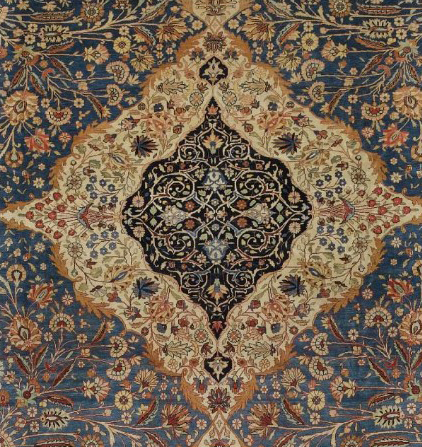 With a sale price of US $182,500, the honor of the second most expensive rug goes to a Ziegler Mahal rug from central Persia. 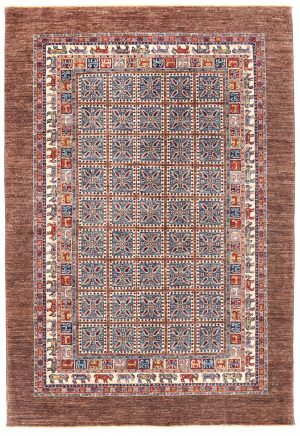 Factors that contributed to the high price of this rug were its excellent condition, its large print scale and its attractive palette of colors including light blue and terracotta, which are popular colors in these types of rugs. 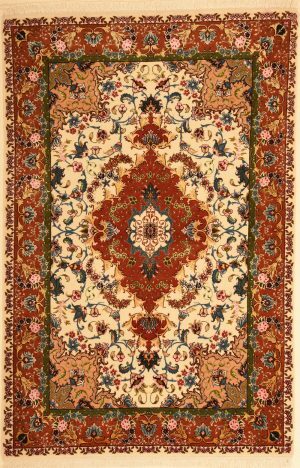 The rug measures approximately 18’ 6” x 10’ 9”. 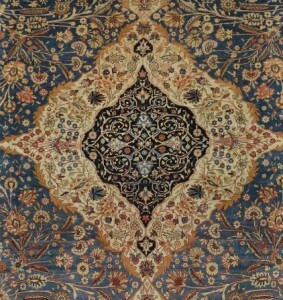 The third spot on the list of most expensive rugs goes to another Ziegler Mahal rug with a sale price of US $170,500 . 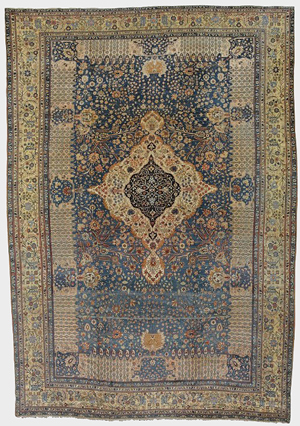 Measuring roughly 416 square feet, this rug’s striking factors are its generous size and its attractive, soft colored color tones, which is quite unique in Mahal rugs. The fact that this rug made it to the top three despite its holes, tears and moth damage, is testament to the value of this piece. 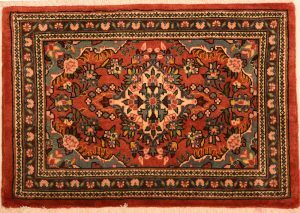 According to the experts’ opinion, the damage to the rug could be successful repaired so that the rug could be restored to its former glory. 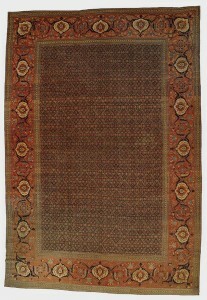 The fourth most expensive rug is this brightly colored, compact Ushak rug measuring 4’10” x 3’11”. 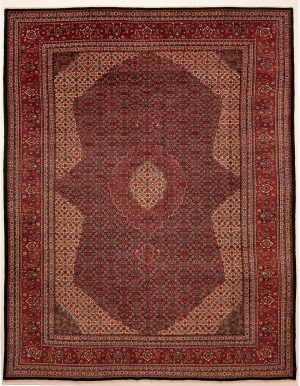 Steeped in symbolism, this design-rich rug sold for US$158,500. 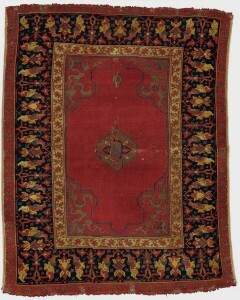 The contributory features of this rug include its striking brick-red coloration and pattern and exceptional craftsmanship. 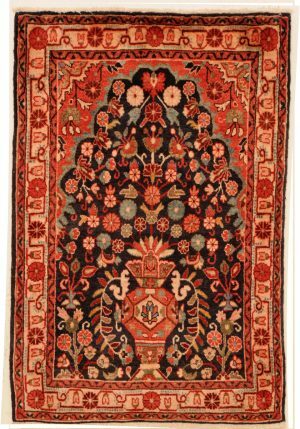 This Isfahan rug measuring 16’1” x 6’ 11” was also part of the Doris Duke collection and its sale price of US $116,500 ranked it as the 5th most expensive rug in the world. 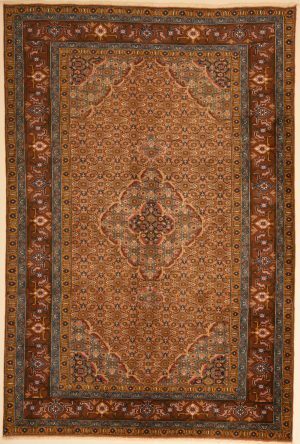 The factors that helped increase the value of the rug are its pleasing color combinations, intricate pattern design and high decorative value. One of the most striking of its features is the minor border which is made up of an unusual vinery design composed of stylized scrolled buds in a repeating pattern. 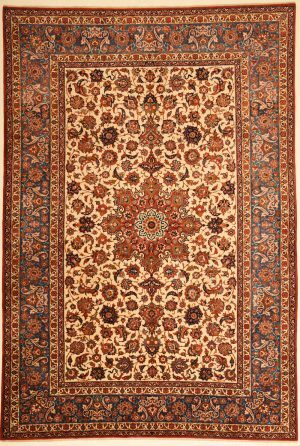 This is very rarely seen in minor borders of Isfahan rugs and is thought to have been derived from vinery borders found in classical Persian rugs of the 16th century. 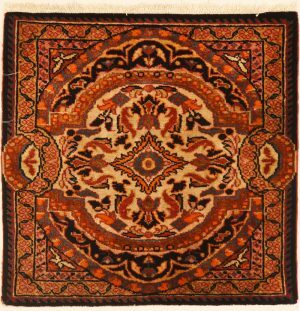 The fact that yet another Zieglar Mahal rug made it into the top 10 list of most expensive rugs is a testimony to the high quality and the value of these types of rugs. 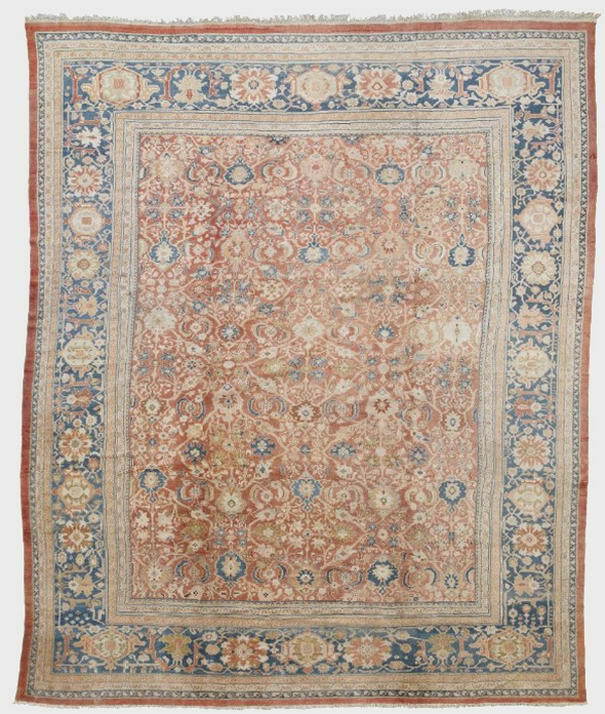 Measuring 20’ 6” x 17’ and featuring deep royal colors and an elaborately patterned floral border, this Zieglar Mahal rug fetched US $98,500 at a Sotheby’s auction. It is also the third from the top 10 list to have come from the collection of tobacco heiress Doris Duke. 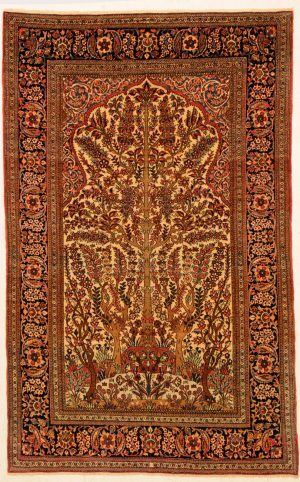 Sold By Sotheby’s for US $92,500, this Mohatashem Kashan carpet from central Persia is the 7th most expensive rug in the world. 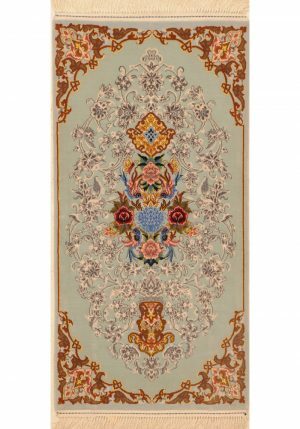 The excellent craftsmanship and execution coupled with its intricate designing and beautifully combined colors give this rug its highly decorative value. 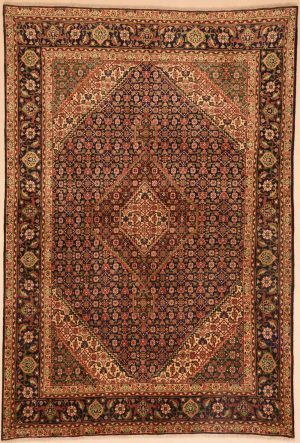 Mohatashem Kashan rugs are generally regarded as amongst the most highly graded Kashan rugs and this particular piece is an outstanding example. 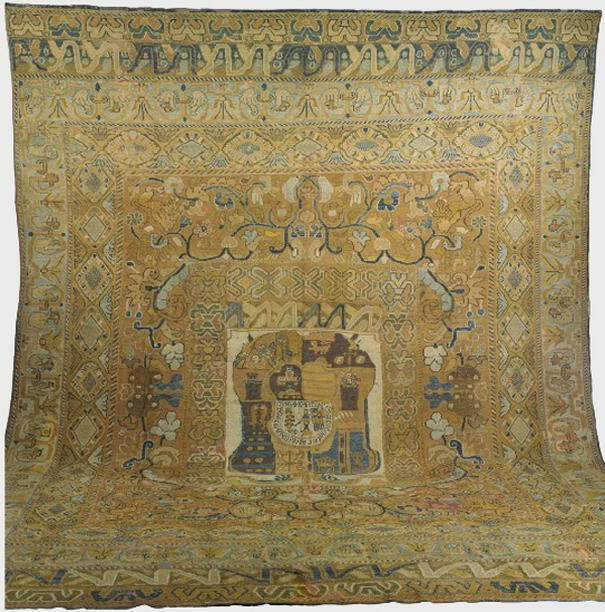 With a sale price of US$80,500, this Portuguese Armorial rug earned the 8th position on the list of most expensive rugs. 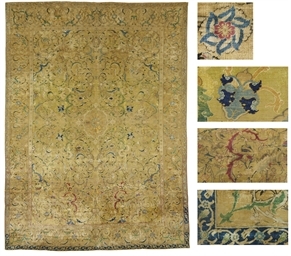 The rug measures 19’5” x 14’10” and features a single, central square medallion with an intricate border comprised of repeated oscillating patterns. 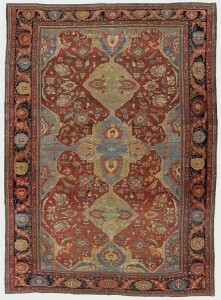 It was sold off for the above price by Christie’s New York in 2008. 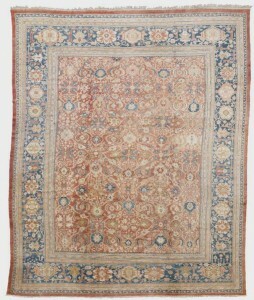 Rounding off the top ten list, is this Tabriz rug, which was sold by Sotheby’s for US $68,500. 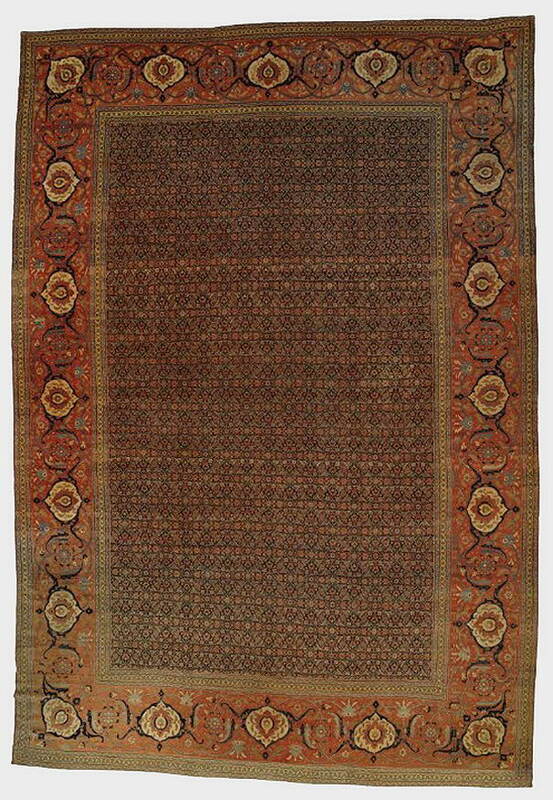 Originating from northwest Persia, this rug is a great example of traditional Mahi field patterns and colors. 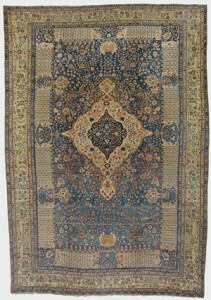 The rug measures 26’6” x 18ft3” and has an elaborate all-over repetitive pattern. 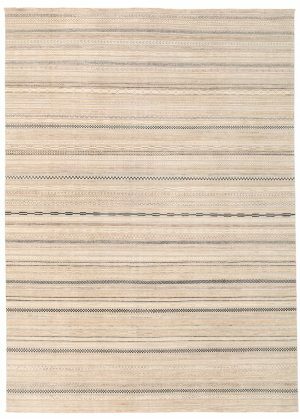 Its border features striking turtle shell design elements that are highly appreciated and add additional value to the rug. Sarouk Lilian 1'10" x 1'10"